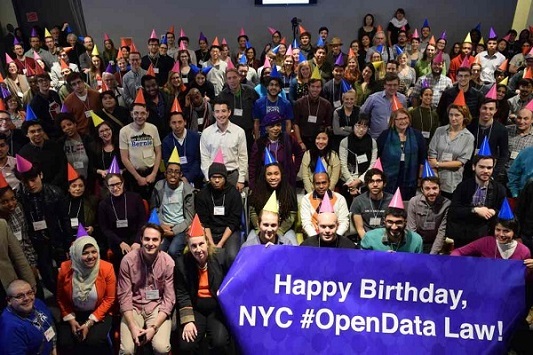 Accela has been barnstorming big cities in recent weeks, attending civic tech and open data events. Here’s a recap of several events that Accela has helped support in the first part of 2016. New York City School of Data was held on international Open Data Day, joining New York with cities across the country and around the world to celebrate open data. The event also helped to commemorate the adoption of the city’s open data law. Over 260 people attended the event, which also included strong representation from young people and students that attending talks to learn about open data and getting involved with improving their neighborhoods. Accela was a sponsor of the event and I teamed up with City Councilperson Ben Kallos for a presentation on open source software, open data and open data standards. 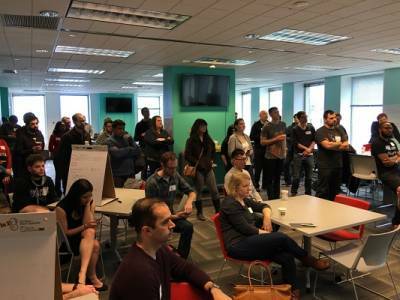 In Philadelphia, an event was recently held at the city’s Municipal Services Building – in one of the country’s first municipal innovation labs – to encourage new projects to improve civic engagement and participation in local and national elections. The event had a massive turnout and participants worked on new projects ranging from polling locator services, apps to allow public access to prison census data and also innovative new uses for 311 data. Accela was a sponsor and participant in this event, which was kicked off in Philadelphia City Hall by new Philadelphia Mayor Jim Kenney and several current city council members. The season for technology and civic tech events is just getting started, so look for Accela folks at an event near you soon.